It was only three months ago that Android got SEGA's latest entry in the obligatory kart racing genre, Sonic & SEGA All-Stars Racing. Now the sequel, which came out a year later on the consoles, has graced our platform only a day behind iOS. 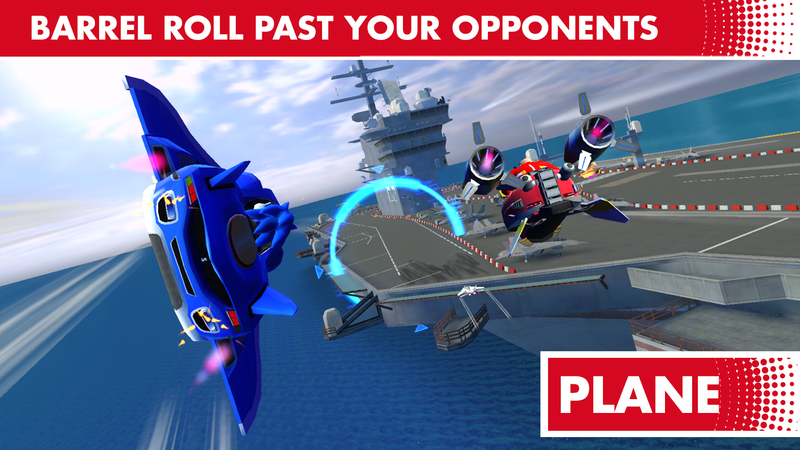 But don't reach for your wallets just yet: there are some serious issues with Sonic Racing Transformed that might mean it's not worth the $5 entry fee. I'll elaborate below. 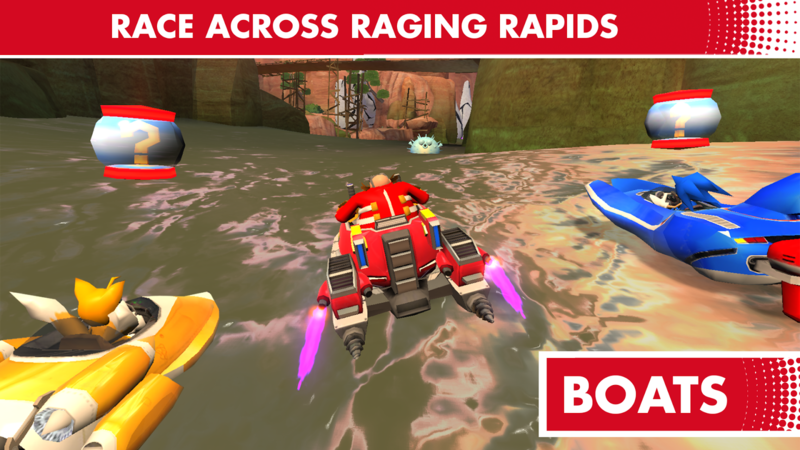 Sonic Racing Transformed puts a few new ideas into the tired kart racing genre, with vehicles that change from cars to boats to planes at different sections of each track. 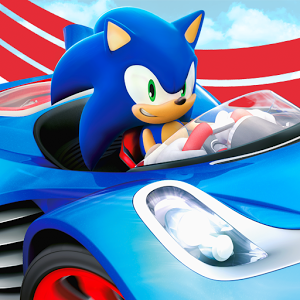 You'll still play as one of SEGA's biggest characters, but their themed vehicles will change appearance and control schemes (at least slightly) as you go through each of the 13 courses. Power-ups and alternate routes are in abundance, and though there's no mention of controller support, you can choose between touch and tilt schemes. But hang on a second: why are there only 10 characters when the 3DS version of the game (which was probably adapted for the Android release) had 20? The console releases had drivers, vehicles, and tracks from such classics as Golden Axe, Nights, and Skies of Arcadia, but this shortened roster doesn't have much space left over after Sonic and his pals fill it out. In the preview I can see Sonic, Tails, Robotnik, Amy, B.D. Joe (Crazy Taxi), Gum (Jet Set Radio), Joe Musashi (Shinobi), Ryo Hazuki (Shenmue), Amigo (Samba De Amigo), and AGES, a sort of living manifestation of the Dreamcast. Maybe the fact that this game has in-app purchases, despite the $5 price tag, has something to do with those missing characters. More are coming soon. It wouldn't be the only part of the game that's unfinished: the description mentions that online and local multiplayer is "coming very soon." 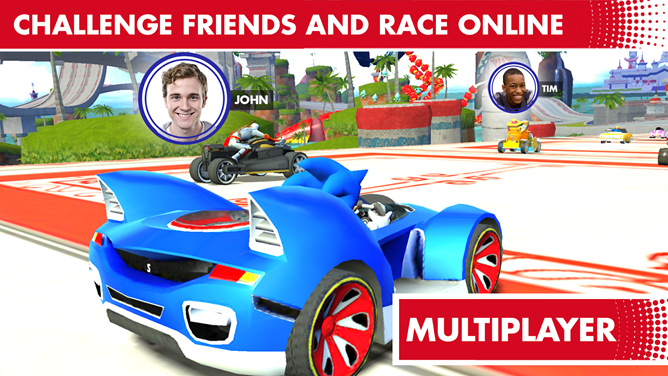 (In case you're wondering, the iOS version has working multiplayer already.) Throw in some compatibility issues too, because Sonic Racing Transformed is crashing on the Nexus 7 2013, and the sole review in the Play Store says the Galaxy Mega 6.3 is a bust as well. Since the game is nearly 1GB in size, those who download it might not be eligible for a return by the time they find out it won't work on their hardware. 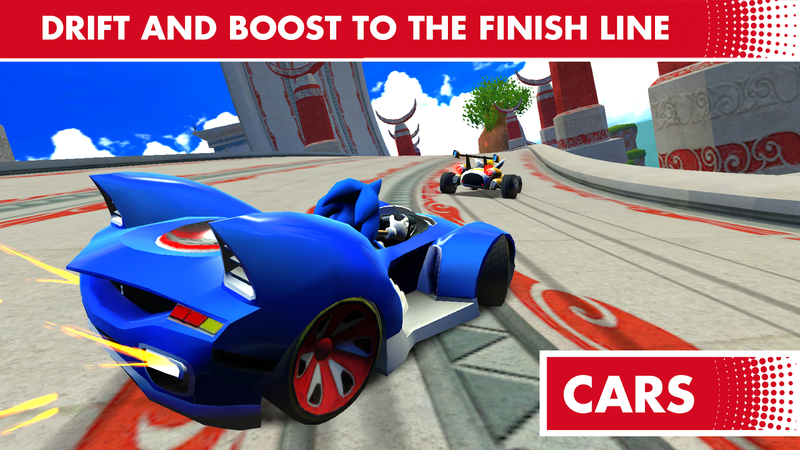 Sonic's first racer on Android turned out well, but it looks like Racing Transformed needs a little more time in the oven. I'd say hold off on a purchase, at least until the release kinks are worked out.